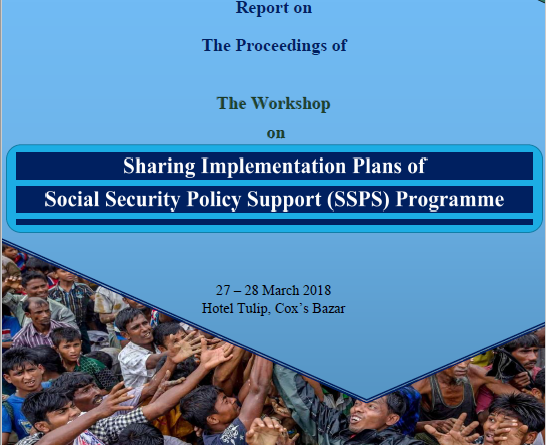 Through its joint project, Social Security Policy Support (SSPS) Programme, GED and the Cabinet Division have been collaborating to address Bangladesh's social development issues from a coordination and reform perspective; SSPS has been rolling out the NSSS reform in 35 ministries. Recently the project, with Technical Assistance support from United Nations Development Programme (UNDP), has been extended for two years till 2019. 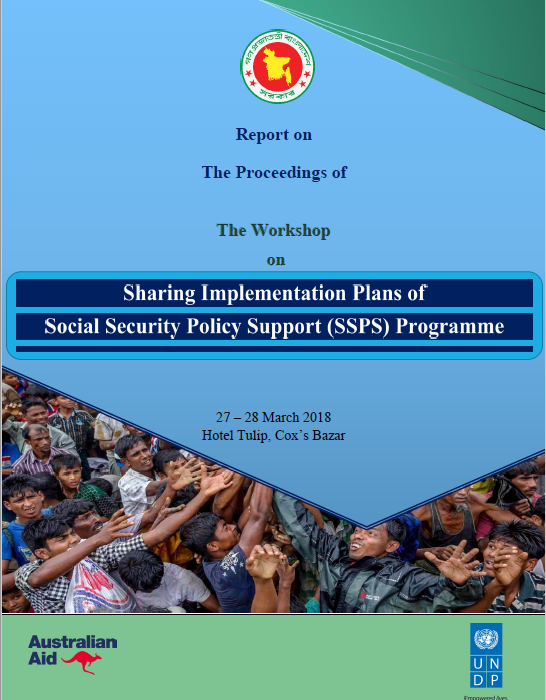 To facilitate smooth implementation of the NSSS for the next two years, SSPS arranged an implementation plan sharing workshop at Royal Tulip Sea Pearl Beach Resort, Cox's Bazaar from 27-28 March 2018. The workshop focused on SSPS’ progress, future action and implementation plan and key issues for NSSS reform. Considering the ongoing Rohingya crisis, the workshop also included a special session on understanding social protection needs of the host community and Rohingyas in Cox's Bazaar.